Founded in 1936, the Players' Theatre is one of the oldest extant music halls. Shows continued more or less uninterrupted for 66 years, until severe problems were encountered in 2002 and the theatre was forced to leave its theatre space beneath Charing Cross station. The history of the Players' is a microcosm of British theatrical history, and many famous names have appeared on its stage. At its conception in 1936, the Players' was intended as a club, covering many aspects of theatrical entertainment. The founders, Leonard Sachs and Peter Ridgeway, acquired premises on the top floor of 43 Kings Street, Covent Garden, in premises which from the 1870s onwards had been one of the first music halls managed by the well known W G Evans. Messrs. Ridgeway and Sachs rapidly established the Players' as a notable 'little theatre'. In 1937, seeking a Christmas show, they were persuaded to present an evening of music hall entertainment recreating as far as possible a night at 'Evans'. This was the very first programme of early Victorian delights offered under the title 'Ridgeway's Late Joys'. The show was an instant success, the original cast including Patricia Hayes, Meg Jenkins, Richard Hayden and Harold Scott. Within a few months, subsequent editions had persuaded Ridgeway and Sachs that music hall was the club's future. Peter Ridgeway died shortly afterwards of TB, at the age of 44. Leonard Sachs continued on his own, his gift for discovering new talent being a major factor in his success. Among the new recruits were Robert Eddison, Bernard Miles, Alec Clunes, and Frith Banbury and Peter Ustinov (auditioning at 11 am, onstage by 11 pm) in his professional debut. In addition to attracting gifted artists and musicians as performers, the Players' benefited from the talents of two artists destined to become famous in their own right. Rex Whistler designed sets and scenery, whilst Felix Topolski did much to decorate the theatre with his wonderful draughtsmanship. Rex Whistler designed a backcloth for the play "Luck of the Devil" - finishing it off backstage, while activity nwas still taking place on stage. For many years, it had pride of place on the wall at the side of the stairs leading to the auditorium in the theatre, but when the club lost the lease to the theatre, it was sold to the National Trust, who have it on display in Plas Newydd in Anglesey. The Players' was recognised by public and critics as 'The most original entertainment in London'. It was even endorsed as one of the clubs to which the subalterns of the Household Brigade were permitted to belong. The Churchill family were great supporters - Sarah Churchill helping as a programme seller. Sir Maurice and Lady Violet Bonham-Carter, together with their son, Mark, are to be found amongst the early membership, which included many leading members of London society. The club flourished, offering performances every night at 11.00 pm and at 2.00 am on at least two evenings per week! Leonard Sachs continued to recruit clever artistes. The scions of well-known Edwardian theatrical families (including Huntley Wright, Sterndale Bennett, and later J. N. Maskelyne), added an inherited touch of authenticity to the proceedings. Later still, some of the performers from that earlier age returned to the music-hall stage via The Players' - including Ada Reeve, Ruby Millar, Albert Whelan and Billy Merson, (who acted as Chairman). The outbreak of the second World War in 1939 inevitably caused serious problems. The Players' premises, on the top floor of an old building with a glass roof and a hydraulic lift, were not an ideal venue during an air-raid. Eventually, after two short-term arrangements (including a number of performances in a member's drawing-room in St. John's Wood), the Players' found a refuge in Albemarle Street in the former El Morocco Night Club. This was in a basement in one of the few concrete buildings in London. Thanks to this good fortune, the Players' (along with The Windmill) 'never closed' throughout the War. 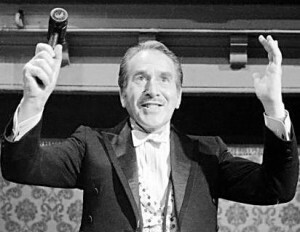 Leonard Sachs was called up for military service and (riding in a taxi to Waterloo to join his troop train) he made over the Players' Theatre Club to Jean Anderson, already an established actress and Players' artiste. Jean contrived to keep the Club open and solvent for the next five years, before going on to a very distinguished career both on stage and on television in series such as 'Tenko' and 'The Brothers'. Under her management, the Players' became a haven for Londoners suffering the Blitz, as well as a home from home for many of the allied forces also living in London. Americans, Australians, Canadians, Czechs, Danes, Dutch, the Free French, Indians, New Zealanders, Norwegians, Poles, Rhodesians, South Africans - all were to be found among the Players' audience. Indeed, to this day, every Players' audience usually contains a number of 'visitors from abroad' who are duly greeted and teased. In addition, nearly every Sunday saw a contingent of Players' artistes entertain in hospitals, at gun-sites and searchlight emplacements. James Robertson Justice made his debut as Chairman and launched his film career at this time. With the end of the War, Leonard Sachs returned to take up the reins again and was immediately obliged to seek yet another location. Having rented a small flat in Craven Street, he was looking out of a rear window one day at the brick face of the Hungerford Arches under Charing Cross Station, when he faintly discerned the legend "Forum Cinema". Sending Bill Draper, the Stage Carpenter, round to investigate, they found that this 'arch and a half' had indeed been a theatre from 1910 onwards. During the War, it had been turned into storage for the Army Corps of Cinematography. Of greater importance, was the discovery that this arch had originally been in the music hall created by the Gatti Brothers. The Gattis had owned two music-halls, Gattis' 'Underneath the Arches' in Villiers Street and Gattis' 'The Road' in Westminster Bridge Road. The building in Villiers Street had been known as the Hungerford Music Hall, dating back to 1865. Although this provenance was very exciting, the building had been very neglected and lacked any theatre fittings or equipment. Enquiries at the War Office put Leonard in touch with a sympathetic Senior Officer who remembered the Players' company's visits to the sites and camps. Orders were given, and the building was released within a matter of days. Players' members and artistes rallied round and, incredibly, the building was open for business within three weeks. For a time, the Membership lists over-subscribed, as the Club went from strength to strength. New talent was discovered or returned to theatrical life. Hattie Jacques, Bill Owen, Ian Carmichael, Clive Dunn, Ian Wallace and John Hewer appeared regularly on the bill. They provided a strong lead to the brilliant newcomers joining the company - Daphne Anderson, Patsy Rowlands, Maggie Smith, Marian Studholme, Marion Grimaldi, and Margaret Burton being but a few. Leonard was asked to present a similar show at the Festival Gardens, for the Festival of Britain. So favourable was the response, that the great theatre chain of the time, Moss Empires, invited Sachs to undertake a long tour of all the major variety theatres in the United Kingdom. This triggered the interest of BBC Leeds, and in due course "The Good Old Days" reached BBC television. Originally only a few programmes went out, and Don Gemmel (Leonard's successor as Director of the Players') was Chairman. Such was public acclaim, that the show was scheduled for first four, then thirteen, then twenty-six weekly editions. It remained a part of the BBC light entertainment for 32 years and was frequently to be found in the 'top ten' in terms of ratings. In 1954, The Players' commissioned a short 'end-piece' designed to fill the third part of the usual Players' evening. The author and composer was Sandy Wilson - the work he provided was 'The Boy Friend'. From its first appearance, barely forty-five minutes long, the merit and charm of the piece was self-evident. After a triumphant four-week run, Sandy was asked to expand the piece. The full-length version again earned immense acclamation, but West End Management would not offer the play a transfer. Courageously, Don Gemmel, Gervase Farjeon and Reginald Woolley arranged a short Christmas season at Swiss Cottage's Embassy Theatre. 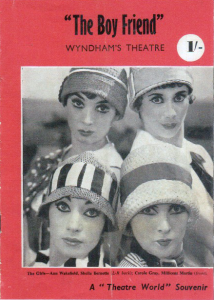 Once again, audience and critics were in total accord, and on the morning the reviews appeared, 'The Boy Friend' was offered five or six West End theatres. It eventually transferred to the Wyndhams Theatre, where it played to more than 95% capacity for five years, and made a star of Julie Andrews in New York. 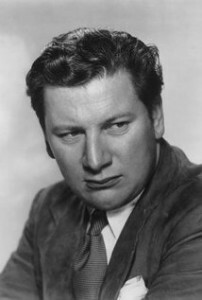 On the occasion of the Players' Diamond Jubilee in 1996, Sir Peter Ustinov was installed as Honorary President in front of a capacity audience. Many members of the Royal Family to have passed through our doors including Prince Charles, Prince Phillip and Princess Anne and Prince Edward. The Members of the Players Theatre Club, almost as well rehearsed as the cast, would join in with the performances, answering the Chairman and singing along with some of the most famous songs in Music Hall. These could be be supplemented by any one of the some 30,000 lesser-known songs from our vast archive. The Players' was unique, however, in more ways than one. Although, essentially a members' theatre, the restrictive licensing laws of yesteryear were relaxed and any casual visitor was able to buy a ticket for £15.00. The evening's entertainment continued to be billed as 'Ridgeways Late Joys': an evening of revival Victorian Music Hall and that is exactly what it was - a selection of professional artistes, past masters at putting over a minor musical masterpiece in costume. The simple accompaniment remained that of a grand Steinway pianoforte and the company combined at the end of the show for a rousing ensemble finale, concluding with 'Dear Old Pals' - sung at every performance for 64 years. The whole evening was compered from the stage by a distinguished master of ceremonies "in the chair". This would often be the former Director of The Players', Dominic Le Foe, who dubbed himself "as British as the Flag". The sartorial elegance of the chairman was matched by the performers. The humour was strictly Victorian, but with astute observations on life, as relevant now as they ever were in Queen Victoria's day. There were two short intervals during which the audience would be invited to visit the bars and help swell the coffers of this merry throng by indulging in a few libations, toasting the health of Her Majesty awhile. Every year the Players' presented an original Victorian Pantomime, by J R Planche. The Players' Theatre Club was unique and had survived unfunded and unsponsored since it was founded in 1936, until its misfortunes in 2002. Following a considerable amount of reorganisation and the founding of the Players' Theatre Restoration Committee, Autumn 2003 saw a triumphant return to the London stage with a six-show mini season at The Venue theatre, just off Leicester Square. Chaired until his retirement by the late, incomparable Chairman Dominic Le Foe, the weekly performances provided the traditional mixture of wit, musical talent and showmanship that had delighted audiences for over 65 years. After a long run at The Venue we briefly went to the Arts Theatre, when our old friend and supporter, Parry, hit hard times - eventually being forced to close. However, Martin Witts, who had taken us on at the Arts Theatre, has acquired, re-furbished and re-opened the Venue theatre, re-naming it the Leicester Square theatre. Since then we have been staging shows there, and have brought in that equally well-known Chairman (and Cricket fanatic) Johnny Dennis. We have since taken shows to the Drill Hall in Chenies Street. This is an interesting theatre, having been in its time the headquarters of the Bloomsbury Rifles. Its appeal to us is that we don't have to rush off (as was often the case at the Leicester Square theatre, where the auditorium is in constant use) and the bar stays open until late! We have also put on two shows at the superb, but crumbling Wilton's theatre, for two Livery Companies, and in April 2012, we mounted a show in the magnificent Stationers' Hall for the Freemen's Society of the Worshipful Company of Stationers. A highly successful innovation was the celebration (a Players' tradition) of Queen Victoria's birthday in our own studio in Craven Street, an experiment that was repeated to celebrate Trafalgar Day in 2011. For details of what's currently going on at the Players', see News and Shows.